A beveled glass top keeps the look of this cocktail table light. The spacious shelf below makes a great place to keep magazines and coffee table books. Just below the shelf is a drawer for organizing remote controls and miscellaneous items within reach but out of sight. 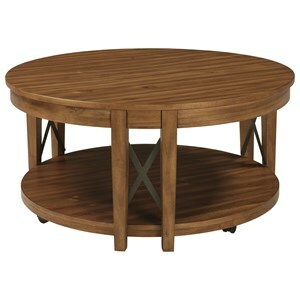 Caster wheels for mobility and the unique open side shelves complete this contemporary coffee table. 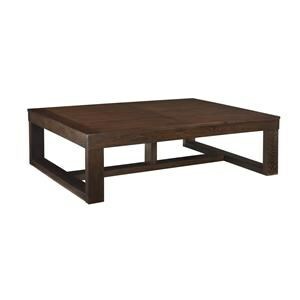 The Marlon Wenge Cocktail Table w/ 3 Tier Shelves by Jofran at Dunk & Bright Furniture in the Syracuse, Utica, Binghamton area. Product availability may vary. Contact us for the most current availability on this product. 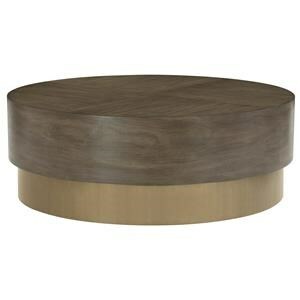 Wood & Finish Ash Veneer and Oak Solids in Marlon Wenge finish. 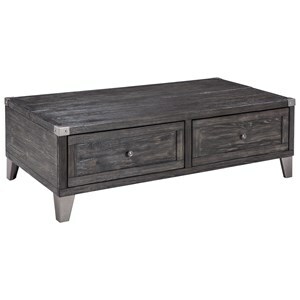 Case Detail Tapered wood legs. Cocktail table features casters. 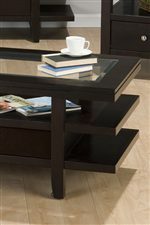 Description: Top Beveled glass top on cocktail table with wood tops on coordinating occasional tables. Case Construction Ash veneer and Oak solids. 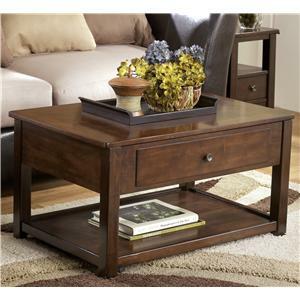 Contemporary flair and plenty of storage make this occasional table set a great choice for your living space. 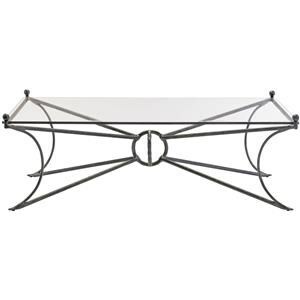 Start with the glass top cocktail table with caster and complement your seating group with the narrow chairside table or end table with drawer and shelf. 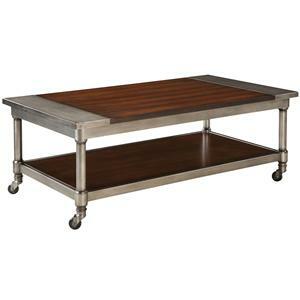 The versatile sofa table with open side shelves like the coffee table works as a spot to display accent items or use as a media console with your TV and electronics. 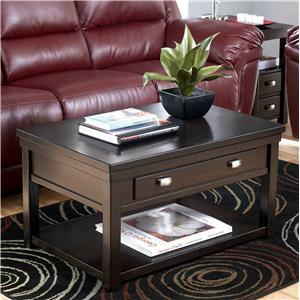 A rich dark finish and metal drawer hardware completes the accent table group's stylish look. 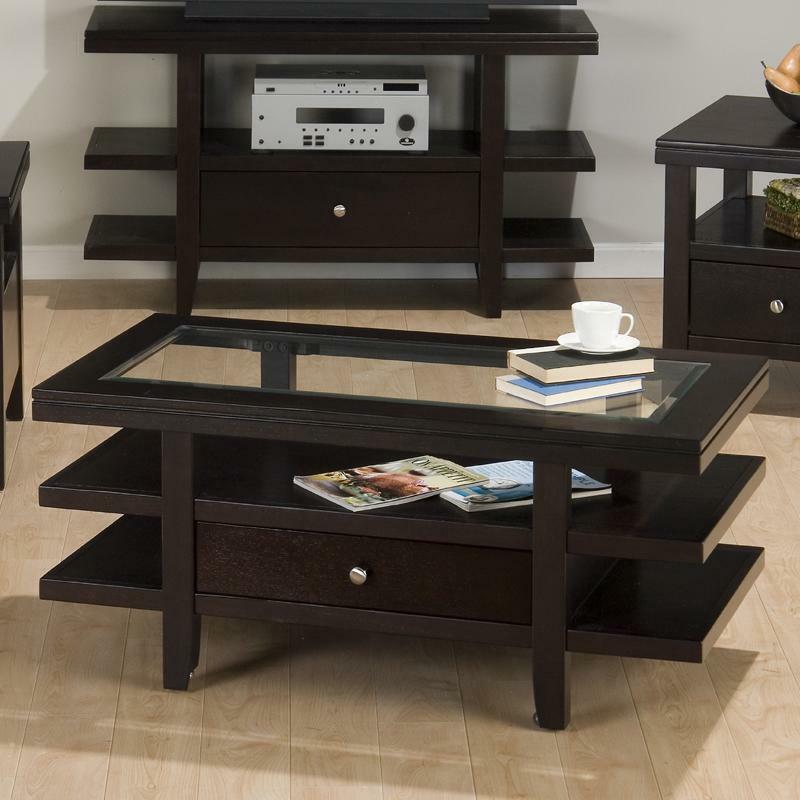 The Marlon Wenge collection is a great option if you are looking for Contemporary furniture in the Syracuse, Utica, Binghamton area.